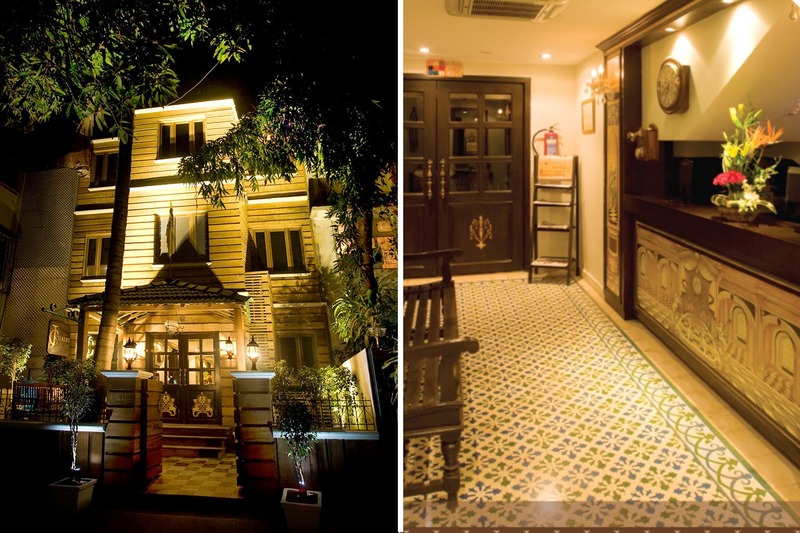 You’ve probably passed by this gorgeous bungalow a million times on Juhu Tara Road, but we bet you never knew what’s inside it. JC Chalet joins the list of the most stunning bed and breakfast options in the city, much like this one, and here’s why your friend visiting Mumbai needs to crash here. Or you could just do a a staycation yourself. Located in the middle of a bustling street is this quaint bungalow-turned-into-hotel, which is sure to take you back in time. Beautifully done up interiors- wooden panels, checkered flooring, warm lighting and vintage artefacts are some of the main highlights that you notice just as you step in. The bungalow has 11 rooms for you to choose from, all done just as exquisitely as the place itself. The interior designers love for teak wood and marble is rather evident in the way the space has been designed. There’s also a cutesy cafe inside JC Chalet, which is designed to resemble an authentic irani cafe (they’ve got those typical chairs and tables along with a huge board with a list of rules). We love that the space is classy and sophisticated, and trust us when we say this, every corner is worth capturing. We love how comfortable it makes you feel. Given its location and accessibility to Bandra and Andheri, we think it’s also priced well enough to not break the bank, making it a super convenient option (depending on the sites you book from, it should approximately cost you INR 2,200 per night). Got friends and family visiting? Put them up here. Feel like pampering yourself with a staycation? You’ve got the best option!